It was about a week later when, having made our way down to Southern California, I got to experience the surreal experience of driving on the Pacific Coast Highway as a middle aged guy listening to a key album from early 1980, Gary Numan’s “Telekon” on my personal device in the rental car. It was a real mashup of timelines with me driving in the area that I was born in, but never had been been behind the wheel of a car in. All the while listening to a crucial album from when I was in high school on a device I had hypothesized around the same time [just as bubble memory had such high hopes among the geekery] as the Chipman®…thirty four years later. Enough woolgathering! I had about $150 left to spend here, but accessing the previous two Amoebas had given me a platform upon which to shop at the final location. I was in the company of Ron this time. My wife was out in a shopping district nearby, but I think she could have borne the time here as we were only there for about 90 minutes. But they were 90 profitable minutes. The first thing I did was enter the Electronic zone and bang! 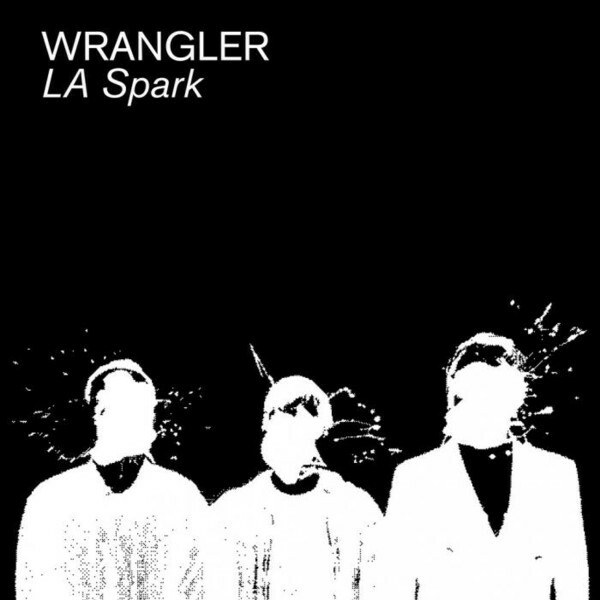 There was a copy of Wrangler’s album. Not only that, but I finally found a copy of any album by Client, whom I’ve been searching for their releases for at least seven years. I had grabbed a single at The Haight store, but here was an early album, “City,” for the taking. My wife especially enjoys the music of Harold Budd. When I asked the clerk if they had All Saints Record’s “Budd Box” with seven releases [six of which we didn’t own already] they responded in the positive. 2014 was marked by us asking for this release in every record store we entered, but it was only here. Better still, Ron grabbed it out of my hand and insisted on treating with his still large credit slip collection. That’s another one several dozen I owe him. I them moved onto the clearance stock and managed to find lots of nice items from the almighty want list. Things that I would have been overjoyed to pay full retail for, like the DLX RMS of Propaganda’s “Wishful Thinking” or John Foxx + Louis Gordon’s “Shifting City” 2xCD version! Only in a record store this major in the seething belly of what’s left of the Music Industry are titles like this common. 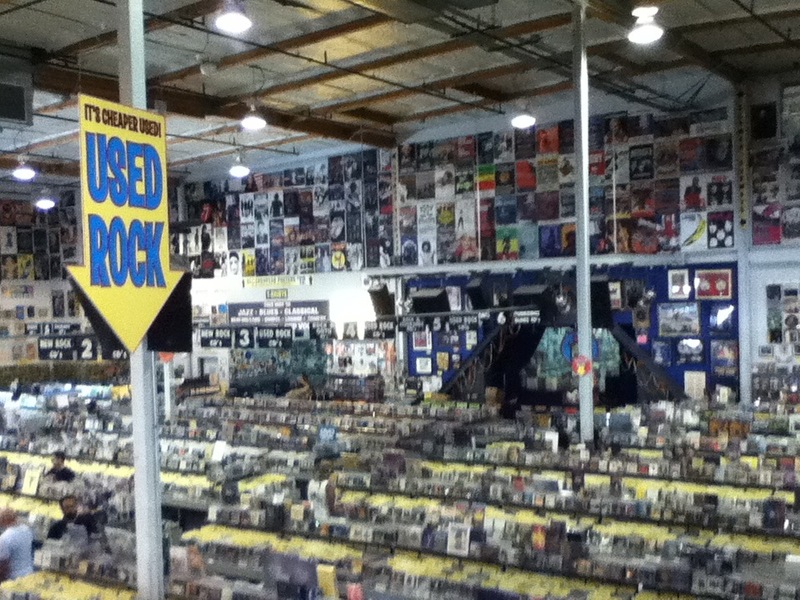 So far, Amoeba Hollywood was giving up lots of love for my bin browsing. Speaking of “Sorry For Laughing,” I also saw the OOP LTM 1st version of Josef K’s debut album “The Only Fun In Town” which at that point was bundled with the then-unreleased “Sorry For Laughing” album! It’s been subsequently replaced with two discreet discs, but this was the most efficient way to finally get some Josef K into the Record Cell. That’s right. You are hearing correctly. I not only never owned any, but I’d never heard them, either! Sure, sure. 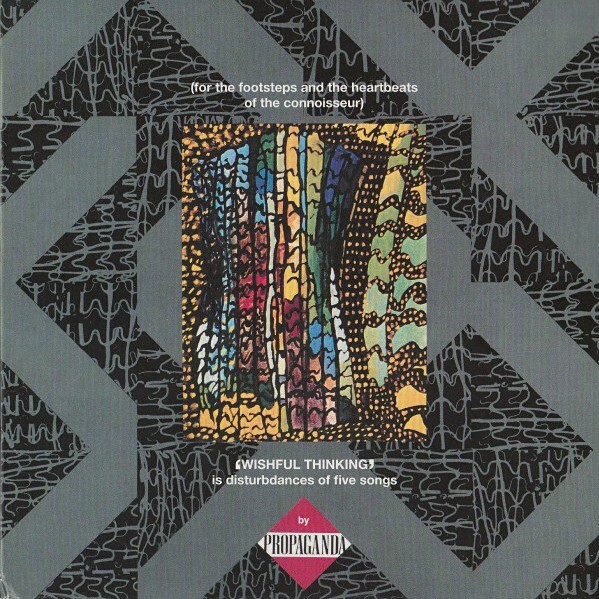 I have Paul Haig solo material, but this was where it all began, and it was now in my basket. Back in 1998 or so, I was in Time Traveler Discs + Tapes in Cuyahoga Falls, Ohio, and I held the title at left in my hands, ready to purchase. 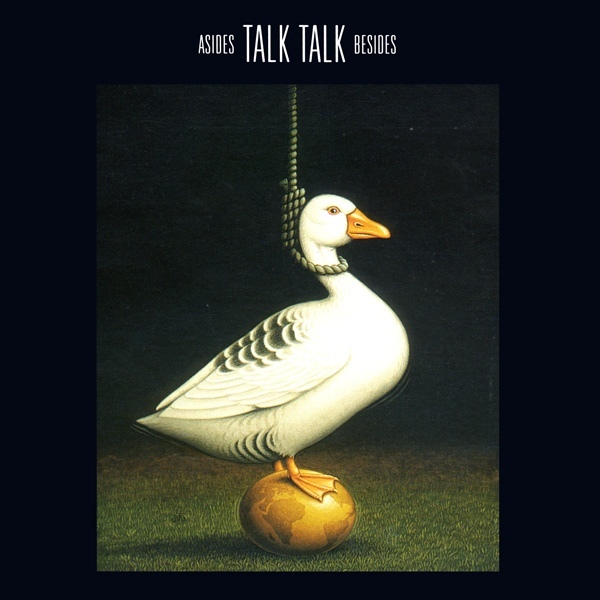 I was a modest Talk Talk fan, and the idea of their 12″ A/B sides in a coherent 2xCD package like their “Asides Besides” release held a lot of appeal, but due to cheapness, I put it back in the racks as it was nearly $30 and I wanted to use the budget at the time in other ways. That’s not to say that I didn’t feel a twinge of regret every now and then. As of this day, that regret would be out of my head forever to the tune of $7.99. I also finally bought a copy of a CD I had wanted for almost 20 years: the “801 Live” album with Phil Manzanera’s supergroup caught in concert from 1977, back with Eno would still deign to perform. He’s the lead vocalist on this album, and I had been intensely curious about this album for a long time. Sure, there was a DLX RM but the old single disc would do in a pinch. And Gloryoski! I finally found a copy of the UK import Simple Minds album “Black + White 050505!” I count myself miraculously lucky for having found the US promo at a store where I live eight years earlier, but that issue was mighty thin on the ground in terms of packaging. A Core Collection band like Simple Minds should have the proper version of one of their decent albums on the racks. $4.99 later, it did. 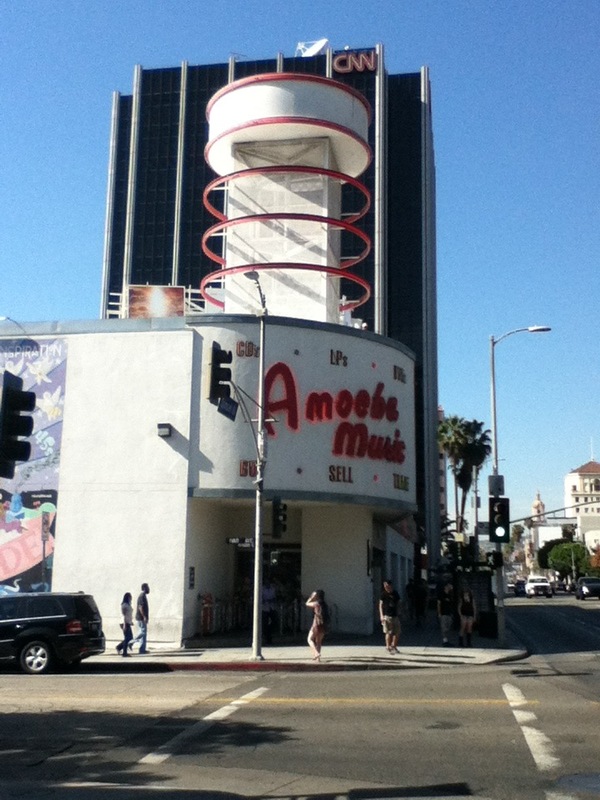 This entry was posted in Record Shopping Road Trip, The Great Record Stores and tagged 2014, Amoeba. Bookmark the permalink.